Dear Evan Hansen is Moving to Broadway! “Dear Evan Hansen,” an affecting new musical set at a high school, is making a quick transfer to Broadway this fall. The musical, about a teenager with social anxiety whose stature is transformed when the school bully kills himself, on Sunday will end a sold-out Off Broadway run, at Second Stage, which began March 26. 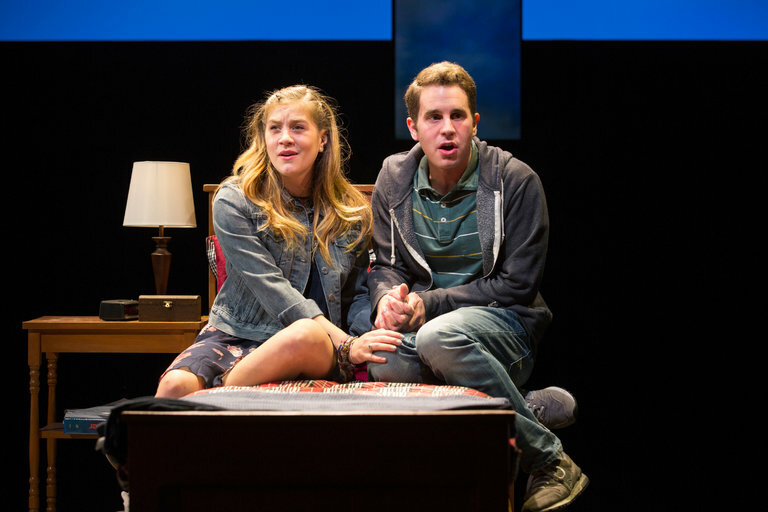 The show has won strong reviews and this week its creative team won an Obie (the big award for Off Broadway shows) for musical theater while its star, Ben Platt, 22, won an Obie for his performance. The show is striking for its moral complexity as well as its musical ambition, as it explores how a ballooning lie, amplified by the connective tissue of social media, reorders familial and peer relationships in a small community responding to an unexpected tragedy. Mr. Platt, who is best known for his work in the “Pitch Perfect” films, gives a moving performance as the title character, while Rachel Bay Jones is winning plaudits for her poignant portrayal of his single mother. The Broadway production of “Dear Evan Hansen” will be produced by Stacey Mindich, and is scheduled to begin performances in November at an unspecified Shubert Theater.